I have a copy of the orange vinyl that just has the normal album cover. It's signed by Jason Pierce as RX? Spaceman. I got it on their North American tour. Does anyone else have this? Should I create a new entry for it? It's so bizarre. Awful surface noise. If the orange box set version is the best pressing that’s very unfortunate. I’ve got a pal with one of those expensive record cleaners. I’m hoping a run through that may help. The question is not, “How many sides of coin there are, but rather how many sides of a coin can one perceive?” Yes, there are far more than two sides of the coin when it comes to Jason Pierce, the audacious frontman for Spiritualized, and of course, late of Spacemen 3. There was something romantic about Spiritualized’s first album, it was nearly perfect, embodying a search for heaven, pharmaceutical and even romantic addiction, where salvation of any sort seemed just out of reach, ungraspable, leaving listeners floating and lost in in some inner space, with Spiritualized ebbing forward a delicious soundtrack. With that in mind, all of Jason’s future efforts were far less rewarding to my ears, with only one or two songs harking back to those glory days, though I’m sure that if one presses Mr. Pierce, he’d tell you that he’s still in search of the lost chord, that shamanistic hum of enlightenment, that Lazer Guided Melodies was perfect for that moment in time, because he was ‘in’ that moment of time, that space between Spacemen 3 and the formation of Spiritualized, when those songs simply tumbled forth. From that time forward, Spiritualized existed, yet even in that construct, Spiritualized (Jason Pierce) appears to have been existing in a haze of self-doubt and illusion, appearing only casually connected to both himself and his history, yet alone the path he was attempting to find and define for himself. His loftier songs have been eluding him, though that’s not to say he hasn’t been productive … more it’s as if he’s gathered all musical genres around him, trying his hand at them all, seeing what does and doesn’t work for him; though in all this time, I’d hoped to know and understand what to expect from Spiritualized. On the other hand, and again, “How many hands does one have is the question?” with Jason Pierce apparently possessing far more than two. Liking his music or not is a personal vision, personal taste, where even though I can go for several albums without selecting even one number to add to my growing collection of Spiritualized material, I still find myself ready to spin a new Spiritualized record the instant it comes out. I’ve made no bargain with Jason Pierce, and he’s made none with me, he keeps doing what he does, leaving me to keep or toss anything I wish, and I imagine that he could care less. After all these years, Jason is still in that moment, while all of his songs don’t feel intimate or meadow-ish for me. And Nothing Hurt comes off as being in a place that is bruised and wounded, filled with observations, yet with no questions and no answers, only Jason Pierce trying desperately to hold so much together. While Jason may be in that moment, I am entirely unable to find myself in that moment with him as he still wanes to the hazed, yet leans toward the focused, where with his explorations of the grandeur, his music has become far too interpersonal, I don’t understand the steps he’s taking or the reasons for them. See, prior to this album being released, Pierce said that this record was going to be his last, and I didn’t even see that coming, not an inkling, though he’s since recanted that statement. It occurs to me that Jason has been forever seeking to put aside the demons that haunt him from Spacemen 3, where looking back over his Spiritualized collection, he appears to be attempting to outrun that as well, as if his next album may just be a Jason Pierce release, where he’s freed himself from all of those other preoccupations … though I wonder, when that time comes and he turns to face himself, will he like what he sees, or will he be lonely without the ghost who’ve been nipping at his heels for all these many years. *** The Fun Facts: The morse code depicted as part of the album art reads Sail On Through, the title of the final track on the album. A + + + ! Hands down. What's so ironic is that most of these tracks were old tracks that Jason told me that nobody would like and weren't strong enough. Yet this album is so great that even my friends who never enjoyed Spiritualized b4 , that I've tried for decades to get them to see the light, are now are proclaimed fans. I knew this album, even when I heard the rough mix, was going to spawn a huge new generation of thousands of new fames and garner him more fame than he could've ever dreamed. And deservingly so. This album is so strong that every track carries its own unique sound and mixed to perfection. I love-own everything Spiritualized has ever recorded. Every show that I can't say I have a favorite but this will be that album for the thousands of newly converted Spiritualized fans. The 8th studio album from British icon Jason Pierce (aka J. Spaceman) and band continues with their predilection toward layer upon layer of epic, slow-building neo-psychedelic songcraft. The music frequently evolves, ascending from folky pop ballads through tiers of strings and horns to a full-blown celestial majesty. Pure retro-pop melodies lock into a groove of horn-embellished rhythms and soaring rock guitar licks, while Pierce’s voice hypnotizes with its laid-back, sophisticated sing-song charm. Current members and contributors on the album have played in Spacemen 3, Spring Heel Jack, Coil, Brain Donor, Starsailor, Be, The Selector, Silent Letters, Yellowjackets. “And Nothing Hurts” pairs a quiet beauty and grace with a cosmic sense of sound expansion and spatial rock grandeur. It’s music that is invigoratingly epic with a peacefully tripped-out rock ‘n’ roll soul. Recommended. I asked the owner for testing if it has noise but mine's all fine. Sound's awesome. great press. Great album, but the quality of the pressing is not that good. Lacks dynamics and very noisy vinyl. HUGE warps and bad sound. Seriously disappointed in the quality of this release. no doubt it's an excellent album. the artwork that matches the atmosphere of the music. the package that justfies the price. it's an absolute trophy to own this box. but the SQ is much to be desired. if it's not intentional, the surface noises between tracks are unacceptable. one of the worst I've bought lately. do i need to feel blessed that the noise doesn't overpower the music? NO. Spiritualized 's music requires us to sit back and get into the mood it brings. but the level of noise is such a distraction. there must be something wrong with the QC for this pressing. 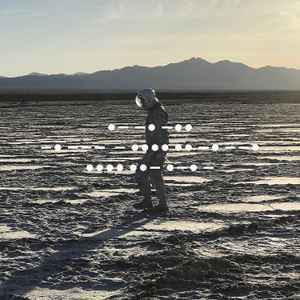 A way better Spiritualized album than anybody could reasonably expect in the year 2018? That's impressive enough. But an album that competes with Jason Pierce's best work? That's amazing. Going for a much more intimate sound this time around - possibly the most since LGM - Pierce tackles his most mature material yet. The album has the usual epic material - The Morning After is an even stronger sequel to Hey Jane - but gentle guitar leads, and hushed harmonies are the norm here. Somehow Pierce manages to keep the quieter material as interesting as the louder material, and while the album takes several listens to reveal all of it's layers, listeners will find it is worth the wait.